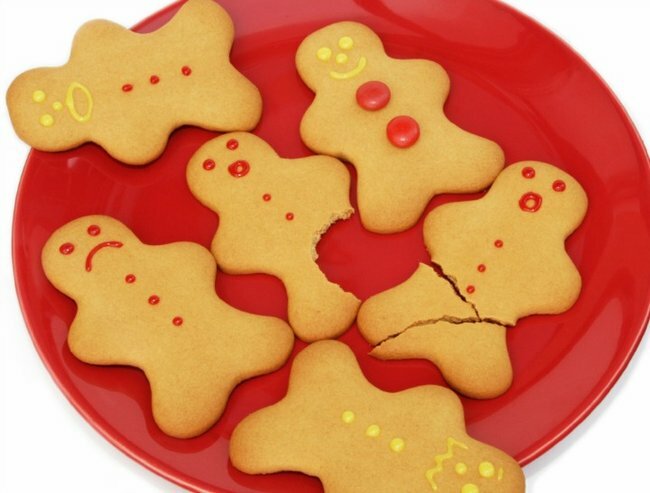 A post for everyone who knows what it's like to have a family fighting at Christmas. My family used to be so close. What happened? My siblings and I live within five minutes of each other, literally, and yet we go for weeks without seeing each other. It’s making me feel quite sad. We used to be much closer, catching up at least once a week or once a fortnight at someone’s house. But as our children get older and life takes over, our closeness has started to fade. We’ve allowed this to happen and yet I’m not sure if we can fix it. There are mitigating factors mixed up in all of this but I find myself wondering if our increasing remoteness from each other is permanent and just a natural life-stage? Is it normal to go for weeks and weeks without seeing close family? It wasn’t always in my world. We’ve never been like this. Something is wrong. I’m just not sure what it is. Maybe it’s years of slights and unresolved tensions. Maybe it’s the pressure of modern life. Each of us is dealing with quite a lot in our individual lives which keeps us busy and distracted. There’s a divorce in progress, a massive rift between two, the launching of a new business, overseas travel and the starting of a new business. Add to that nine children between us (and a dog, two cats, a budgie and some fish) and it seems we’ve just become too busy for each other. We are no longer prioritising each other. Maybe it’s because we need each other less? That leaves me questioning the very nature of our interaction. We are so close when someone is suffering. We immediately band together to help them through the hardship. Then, we can’t wait for the suffering to be over so we can get back to our own lives in which we are not needed. It’s as though we don’t even know how to be with each other unless someone needs something. We happily babysit each other’s kids sporadically, we loan each other money, drop off medicine when any of the kids are sick, send the occasional text asking, “What’s up?” I know at least one of my siblings is feeling the same way too because they’ve been texting me and reaching out to me in a way they haven’t done in years. I really appreciate that they are initiating contact because I’ve always been the one to keep the lines of communication open and to organise family get-togethers. I started to resent it a little. It became increasingly difficult to make it happen. I felt like they weren’t even trying. Also that rift I was talking about? That’s me and one of my siblings. It’s not something I want to try and repair, having been there and done that several times over, however I hate the effect it is having on our family. It’s as though after that played out, everyone sort of just gave up. It’s even worse knowing Christmas will be soon. Our family celebrations are always loud and full and fun. I know that won’t be the case this year. This year we’ll all be trying just a little too hard. 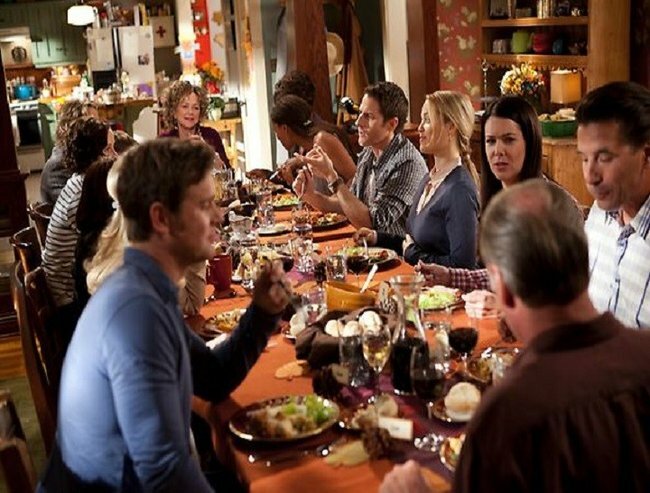 I want to be more like the Bravermans from the TV show Parenthood, always sharing meals despite conflict. I grew up knowing that my parents didn’t always get along with their close family members. We sometimes went for years not seeing particular relatives and would find out later, after contact had resumed, that it was due to continuing conflict. I remember my siblings and I swearing that we would never ever ever let that happen to us. “No matter what, let’s never fight for long,” we’d say. It’s not just the fighting though. It’s the fact we are all so different. Our lives aren’t compatible. We are busy busy busy. Our parenting philosophies are completely different. We like different things. We eat different things. We are just so different. Still, I don’t think any of that should matter. I have a funny feeling that we are each feeling sad, alone and misunderstood, in a way that only those closest to you can make you feel. Yet we are struggling to find a way to come back to each other because we’ve never had to put so much effort into it before. Maybe I am idealising the past. Maybe I’m only feeling this way because it’s been a really tough year for me personally. I don’t know. I just want my family back, but I don’t know how to get them. How often do you speak to your siblings? Do you see them at Christmas?